Product code: 755 Categories: Sold Items, Sold Jewellery. Here is a really wonderful and elegant brooch in the form of a greyhound. 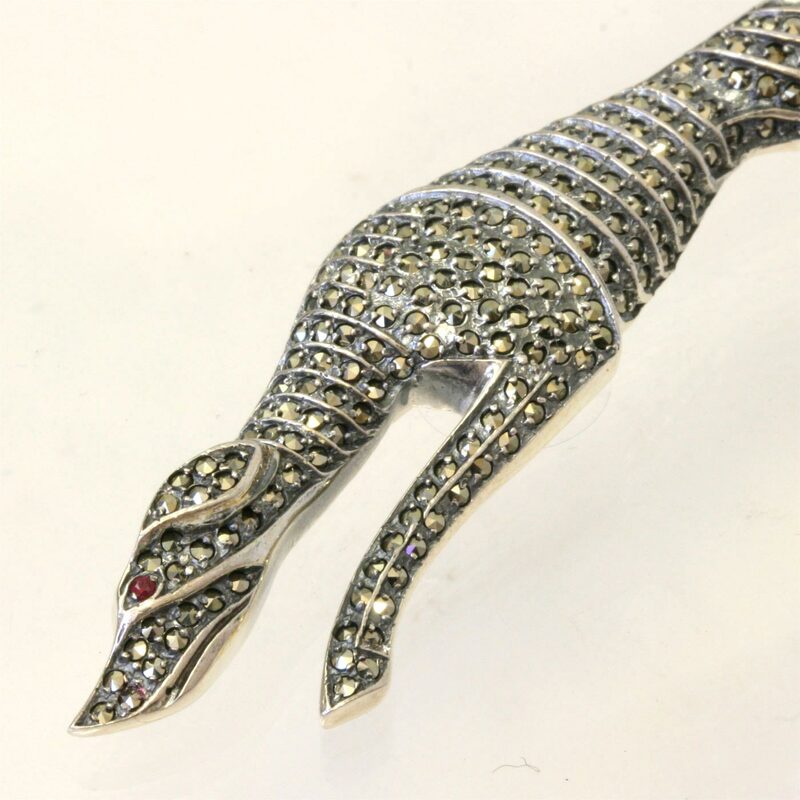 Made in sterling silver and set with marcasites, it also has a natural ruby as an eye. Measuring a very impressive 8.6cm in length, this will be admired every time that it is worn.